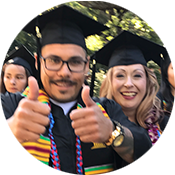 Ability-to-Benefit (ATB) - Basis on which a student without a high school diploma, a recognized equivalent, or a General Education Diploma (GED) may qualify for federal student financial assistance. Assets - Property that has an exchange value. The purpose of collecting asset information is to determine whether your family's assets are substantial enough to support a contribution toward your cost of attendance (COA). Only the net asset value is counted in the need analysis. To determine the net value of any asset, you first determine the market value of the asset and reduce the value by the amount of debt against that asset. The result is the net value of the asset. Award Letter - Describes the types of financial aid offered. The awards shown are based on full-time (12 units or more) enrollment, if fewer units are taken, amounts will be prorated. Budget – The total amount it will cost you to go to school – usually expressed as a yearly figure. It’s determined using rules established by law- is also known as Cost of Attendance. Default – Failure to repay or otherwise meet the terms and conditions of a loan. The consequences of default are severe. In many cases, default can be avoided by submitting a request for deferment, forbearance, or discharge and by providing the required documentation. Deferment – A temporary postponement of loan payments that must be approved by the lender. Dependent – Parental information is used to determine aid. You may be considered dependent even if you live away from home or if your parents don’t claim you on their income taxes. Dependency is determined by answers on the FAFSA. Expected Family Contribution (EFC) – The amount a student (and parent’s, if dependent) is expected to pay towards the cost of attending college. It is used to determine your eligibility for federal student aid. FAFSA - Free Application for Federal Student Aid. This is the main application that allows students to apply for aid (PELL GRANTS and FFEL Loans. It may also be used by states to disburse state aid. Fee Waiver – For eligible California residents, allows waiver of mandatory enrollment fees. Financial Need – the difference between your EFC and the school’s Cost of Attendance. Forbearance – Permission from a lender to temporarily postpone repaying the loan. Interest will continue to accrue. Full-Time - Student enrolled in 12 or more semester units; 4 units for summer session. Grace Period – the short time period after graduation (or falling below half-time) during which the borrower is not required to begin repaying a student loan. Grant – Money that, generally, does not have to be repaid; usually based on need. Independent – Only student information is used to determine aid. Dependency is determined by answers on the FAFSA. Institutional Student Information Record (ISIR) – Version of your FAFSA information that is sent to schools by the government. Interest - The fee charged to borrowers by lenders for using loan money. Master Promissory Note (MPN) - A promissory note under which the borrower may receive loans for either a single period of enrollment or multiple periods of enrollment. Pell Grant: A federal need-based grant. Promissory Note – The loan contract. A written promise to repay a sum of money to the holder of the loan within a specified time period. Student Aid Report (SAR) – Is sent to the student after applying for financial aid. A copy of the information submitted on the FAFSA. The school’s version is an ISIR. Satisfactory Academic Progress – refers to the standards a student must meet and maintain to be eligible for financial aid. Untaxed Income - All income received that's not taxed or may not be reported to the IRS. Reported on Worksheets A and B on the FAFSA. 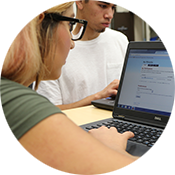 Verification - A review process through which a college checks the information you report on the FAFSA. A college may ask for any supporting documentation necessary to complete the verification process. Work-study – Money you earn while enrolled in school that will help pay your educational expenses.